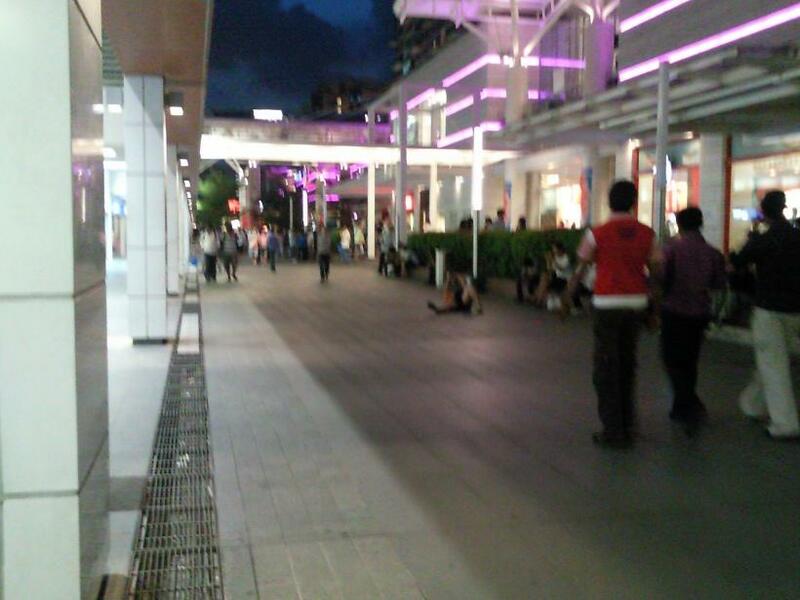 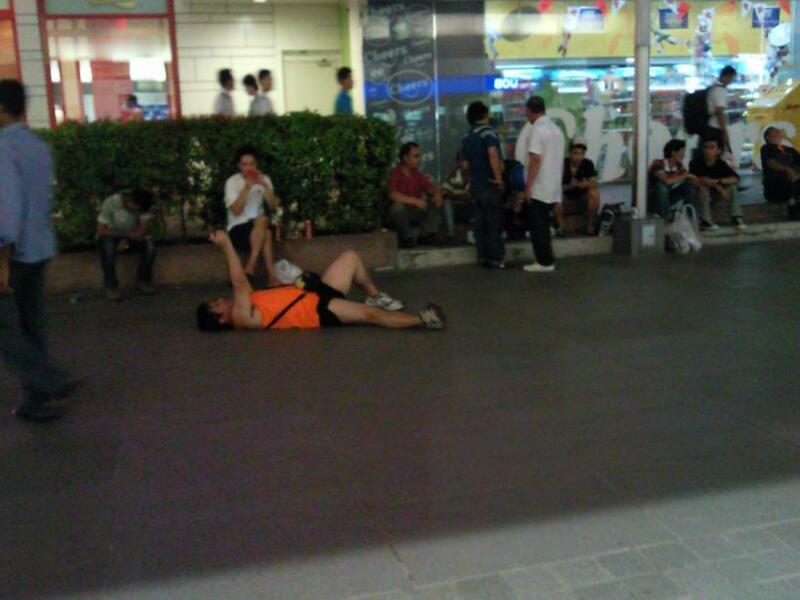 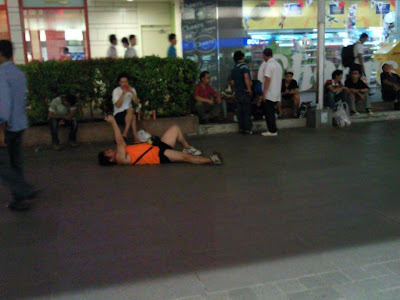 I can't resist taking photos of this man lying down in the middle of Jurong Point. He is probably shooting his camera at the blinking kites flying high above JP sky. 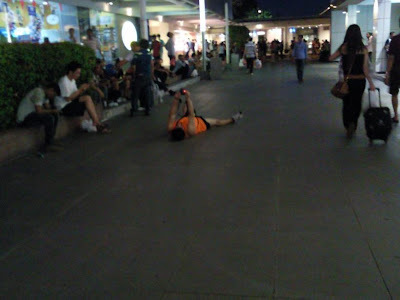 He is just too busy or crazy about his work that he forgot about the passing crowd.